The Equilibrio App is available for free download for everyone in the App Store and allows you to access the gelato recipes of the Bravo team and the greatest Chef glacier. Two big names, Angelo Grasso and Luc Debove, are coming soon and you will be notified when they will be available for purchase. 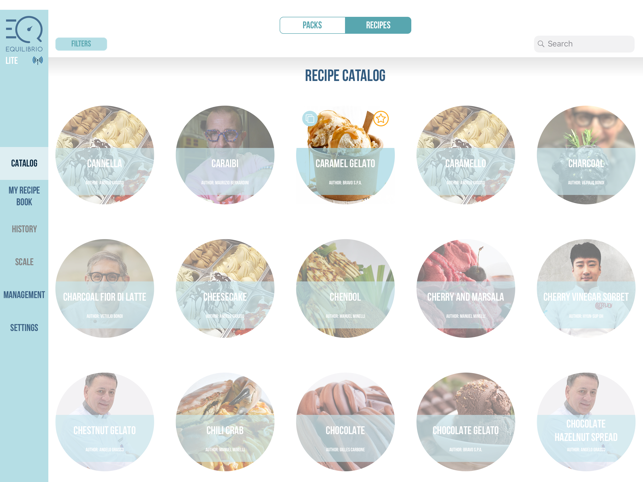 The recipes will always remain in memory and you can continue to change them at your leisure! Equilibrio is the new revolutionary system by Bravo consisting of a balance and an App for tablets that allow you to follow step by step, gram by gram, each processing stage of your work: from weighing, to the inclusion of the ingredients at the right time, passing through the cooking temperatures and cooling with accuracy to the centigrade degree, to the extraction. You'll be able to easily check your work! The scale and the app perfectly communicate with each other. recipes can be modified. 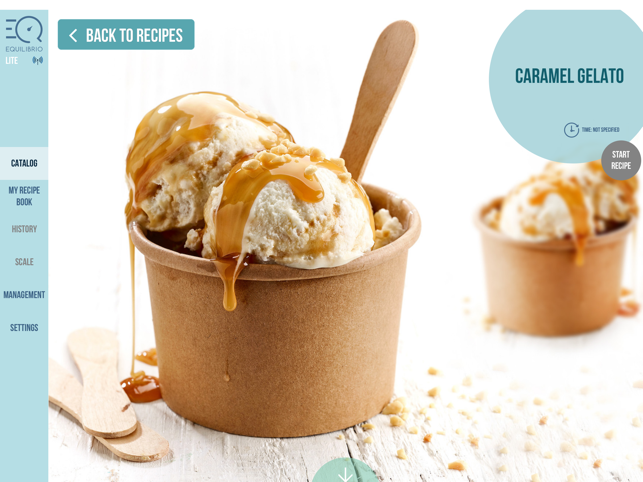 With just one click, you will be able to buy the know-how of the best gelato masters. The recipes of 2 popular names – Angelo Grasso and Luc Debove – are already available to download, and many more famous names are going to come. Improved performance if connected to your Trittico: Bravo Trittico is already heart and mind, but today it is also equipped with reliable arms which allow it to become a trustworthy helper that is capable to make your laboratory’s collaborators independent and performing assistants. 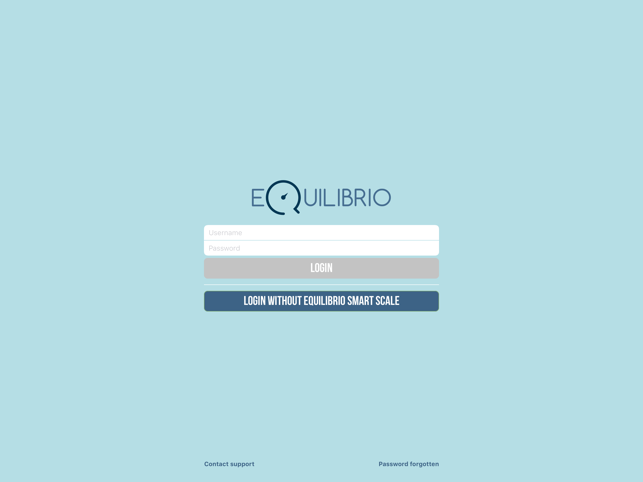 The scale, the app and the Trittico are all connected through the specially developed Wi-fi technology. This integrated system allows the user to monitor and execute every step of working process: scaling, inserting the ingredients at the right time, speed of mixing, temperature control with decimal precision and time control in both the hot and cold processes. Equilibrio for Pastry is now available for Trittico owners! With version 1.0.17 some issues have been fixed. ATTENTION: the next version of Equilibrio will only be available for iOS 10.0 or later! We are constantly trying to make the app more stable, improving the overall usage experience.